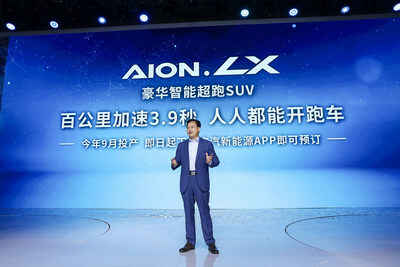 SHANGHAI, April 16, 2019 /PRNewswire/ -- GAC New Energy Automobile Co. Ltd (GAC NE), China's fast growing electric car manufacturer, has unveiled the Aion LX, its new flagship model in the Aion range. The electric vehicle (EV) has a range of over 600 km (373 miles) under New European Driving Cycle (NEDC) standards. 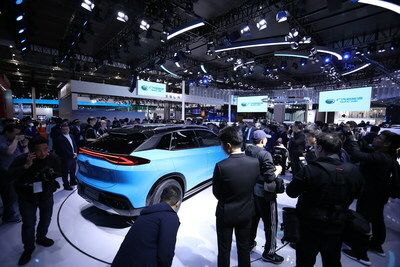 Premiering at Auto Shanghai 2019, the Aion LX is an electric SUV that is equipped with the latest smart driving technology including Level 3 autonomous driving assistance, and harnesses solar power to create an energy-efficient internal cabin. With a 2,900 mm wheelbase and CDC full-time adaptive suspension with damper controls, it delivers high-end performance with decreased energy consumption, accelerating from 0 to 100 km/h (62 mph) in 3.9 seconds. Expected to start production of the Aion LX in September this year, GAC NE also offers a highly customizable vehicle production process, with customization options available to customers via the GAC app. "The Aion LX is the exciting next step in our journey to become a leading electric carmaker and is the result of our pioneering spirit. The Aion LX combines luxury design and the latest autonomous driving technology to deliver a top-notch driving experience," said Gu Huinan, General Manager of GAC NE. The Aion LX is the second model in GAC NE's Aion range, following GAC NE's debut into the EV market with the Aion S, which is slated to go on sale on April 27, 2019. Pre-sales of the Aion S started in March, GAC NE reported overwhelming demand with over 23,000 pre-orders placed in 45 days. China's first mass-produced EV to use solar power, the Aion S is an accessible entry point for customers looking to purchase an EV. 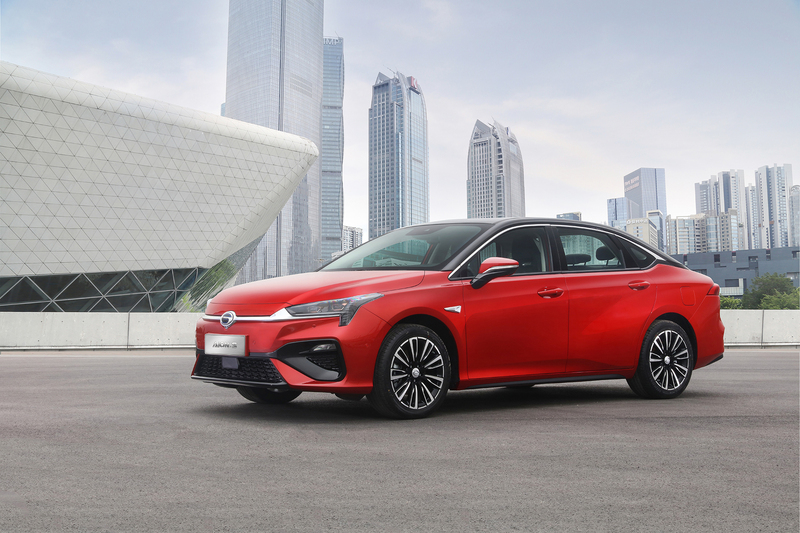 Priced from RMB 140,000 (US$ 20,890) for battery range option of over 400 km (248 miles), and from RMB 160,000(US$ 23,855) for battery range option of over 500km (317miles), the vehicle has spacious interior, smart technology including L2 autonomous driving assistance, mobile intelligence integration and high customization capabilities. Founded in 2017, GAC New Energy Automobile Co., Ltd. (GAC NE), the newest arm of GAC Group, is dedicated to the innovation and development of electronic vehicles (EVs). With a mission to become a world class electric carmaker in the next three to five years, GAC NE is targeting an annual production capacity of 200,000 EVs and has invested RMB 2.13 billion (US$ 310 million) in a state-of-the-art Smart Eco-Plant, completed in December 2018. For more on GAC NE, please visit http://www.gacne.com.cn.